Stephan Shipe is currently a doctoral candidate in finance at Florida State University and holds a Bachelor’s degree in finance from the University of North Florida. He is an instructor in the business school at Florida State and has started and managed three businesses. 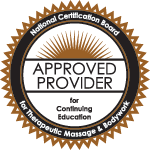 Stephan has combined his experience teaching, his extensive business knowledge, and his industry experience to form a collection of business based continuing education courses available to massage therapists.